A "technical error" has left Atalah Haun with no rewards points and a big charge on his credit card. A Royal Bank of Canada sign is shown in the financial district in Toronto on Tuesday, Aug. 22, 2017. If you pay for a flight using credit-card rewards points, be sure to check your card to make sure you weren't charged for the full cost of the ticket. That's what happened to Toronto resident Atalah Haun last week, when he used all 122,000 rewards points he collected on his RBC Avion Visa card to buy a flight ticket to his native Brazil, but found the full $1,620 cost of the ticket was charged to his card anyway. He called RBC to find out what happened. "Then started my nightmare," Haun, a former physician in Brazil who works as a clinical research associate in Toronto, told HuffPost Canada in an interview. Toronto resident Atalah Haun is fighting to get his money back after being charged the full cost of a flight he bought using rewards points. He said he spent countless hours on the phone with RBC, RBC Rewards and Air Canada trying to get to the bottom of the issue. At RBC, he says he was repeatedly transferred from department to department, with no one able to figure out whose responsibility the issue was. "I felt like I was robbed," he said. At one point, he said, a customer representative refused to believe the ticket had been bought using rewards points, and asserted Haun was lying. But nearly a week later, Haun says none of that has happened: His points are gone, and his credit card continues to have a charge on it for the full cost of the ticket. 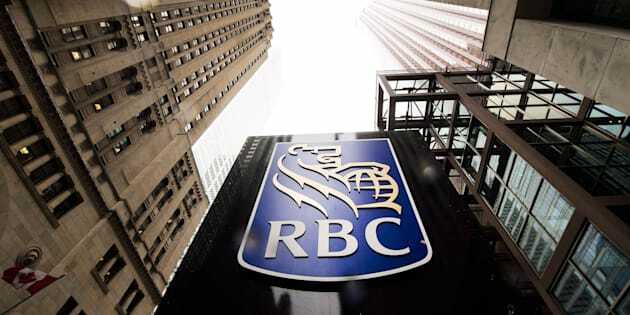 In an email to HuffPost Canada, an RBC spokesperson said Haun's card was charged the cost of the flight ticket due to a technical error. "We can acknowledge that the client did escalate this with us on Oct. 17, at which time the process of reimbursing them began," the spokesperson stated. "We expect this process to be completed shortly and want to assure Mr. Haun that their account will be reimbursed and that his ticket will remain booked. "We certainly recognize that this is a difficult situation for Mr. Haun and have been engaging with him to ensure this matter is resolved." For Haun, that response won't satisfy until the charge on his credit card is gone. "Imagine if I really needed the money," he said. "I want my money back, and I want them to apologize for calling me a liar." But that may not help much anyway; Haun says he is planning to switch to a different bank. Canada does not have a national consumer agency for dealing with bank complaints. Customers can file complaints with the Ombudsman for Banking Services and Investments (OBSI). However, as the Globe and Mail recently pointed out, the OBSI is a voluntary, industry-funded group, and its rulings are not mandatory. RBC, along with TD Bank, are not members of OBSI. Consumers with complaints against a financial institution can also contact the Financial Consumer Agency of Canada for advice.